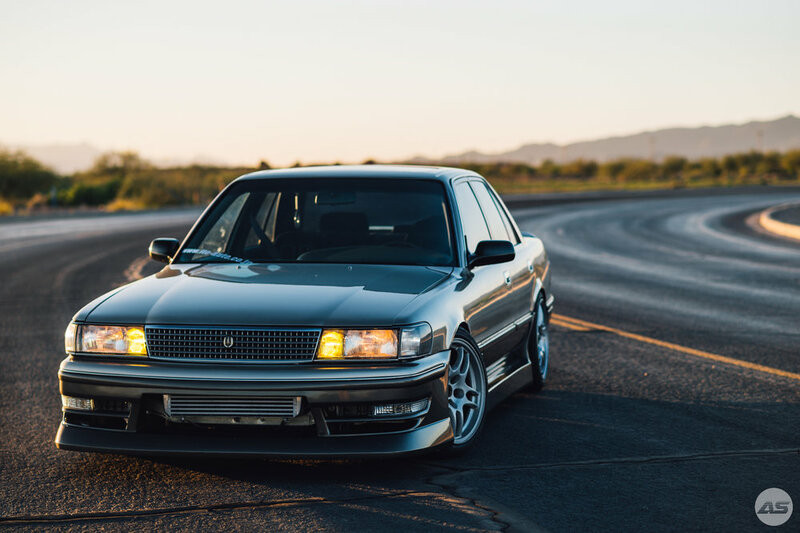 Back in July we made a quick trip up the gravel-littered highways of Arizona to Scottsdale’s Scuderia Southwest (Cars & Coffee) and came across an awesome 2-tone Cressida parked among the attendees. After posting a photo up on Instagram, the owner was tagged (it’s a blessing when that actually works) and we set up a time to shoot outside of the cramped quarters of a car show. With winter approaching (highs in the low to mid-70s), shooting was an absolute joy, albeit a breezy one. The car looks great from every angle, which is doubly impressive since Zach has done the paint and body work with help from his good pal Danny Sharp. The two-tone is flawless, and the respray in the engine bay (champagne with Sahara Gold flake) is perfect. That being said, the 2JZ with a Borg Warner turbo right up top certainly doesn’t hurt either. Around the outside, the R33 wheels look right at home with the BIG☆WIN JZX81 Mark II kit and HKS exhaust out back. The whole package is enough for normal folks to know there’s something special going on - and to warrant photos from passer-bys in parking lots - but not enough to cause accidents in traffic. If we’re being honest, that’s about where you want to be. This Chihiro and pair of Chuu and Chibi Totoro on the windows are a great little touch. 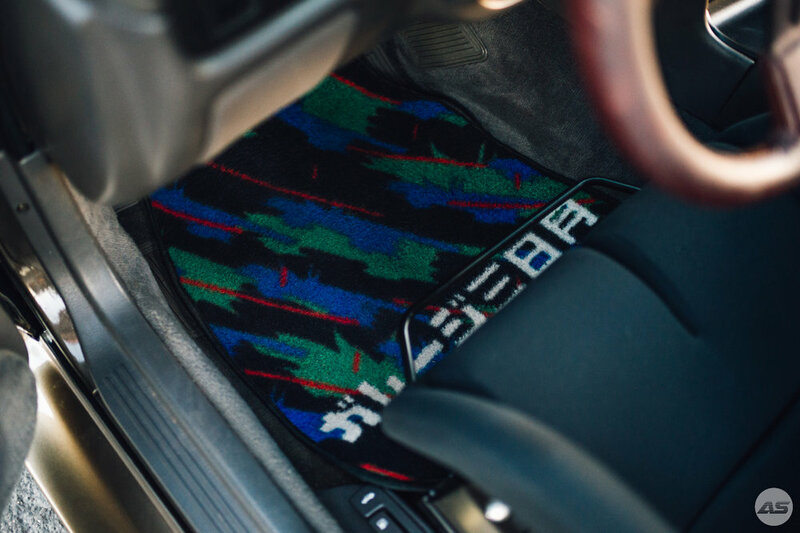 The interior follows the tried and true OEM+ formula, with a TOMS steering wheel, Bride Zeta 3 driver seat and TRD Sport reclining passenger seat, and HKS-styled Garage Moon Power floor mats. Everything works well together, both aesthetically and functionally. 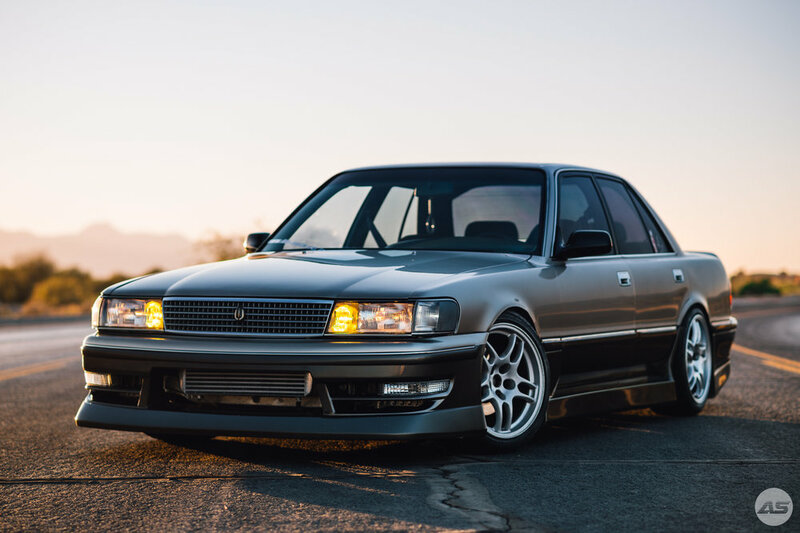 Definitely expect more of this car to come on the website (I mean we didn’t get a burnout shot, rollers, or drifting action) but for now enjoy a couple more glamour shots and give Zack a follow on Instagram. Need to stock up on some Average Squad gear? Don’t forget to check out the store!